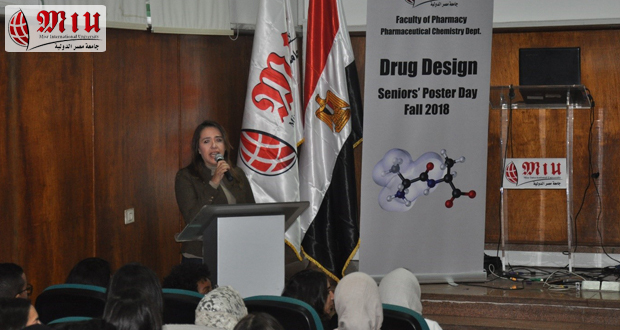 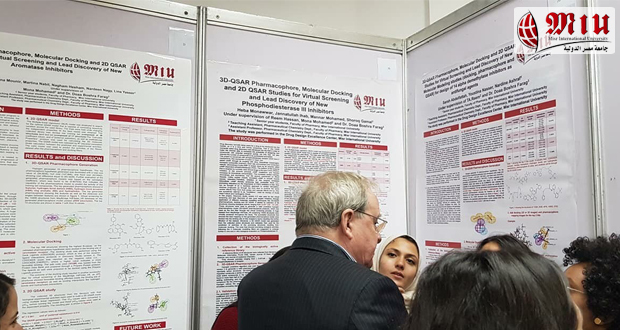 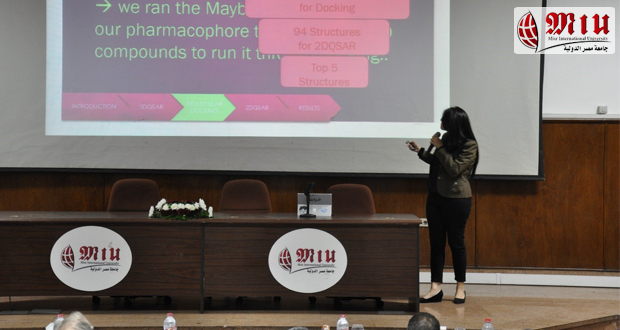 Faculty of Pharmacy seniors presented their Drug Design projects as oral and poster presentations on Wednesday December 19, 2018. 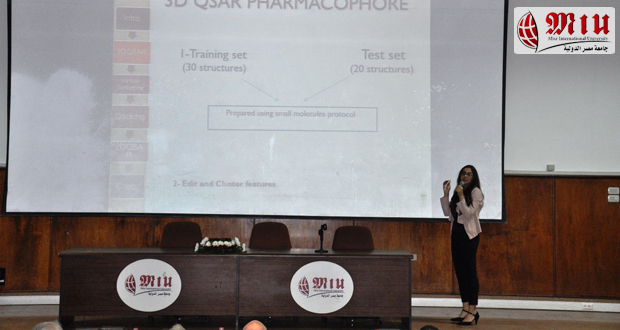 The projects included the use of the latest computer-aided Drug Design modelling techniques, like molecular docking, pharmacophore and QSAR for lead optimization. 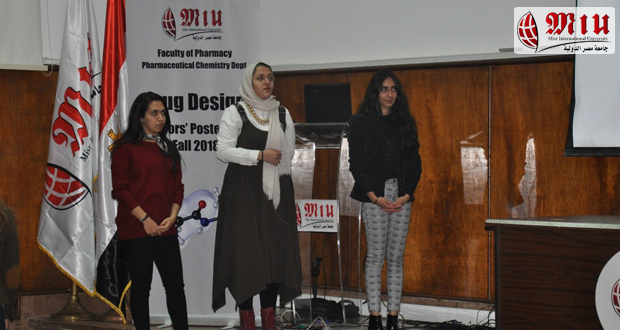 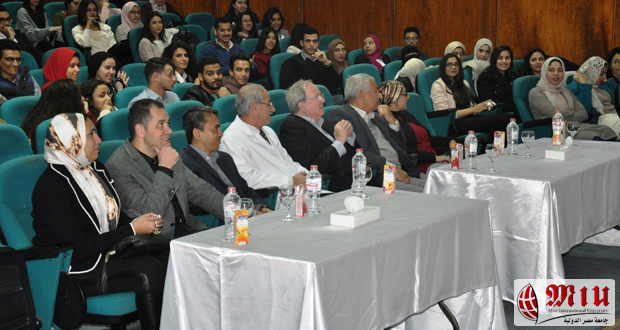 An external committee from King’s College London and Ain Shams University evaluated the projects. 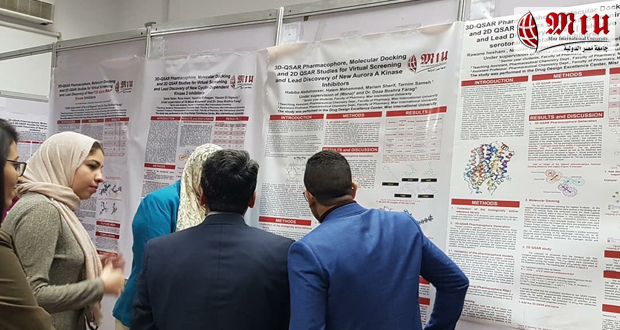 King’s College London examiners were Prof. Peter Hylands (Head of the institute of Pharmaceutical Science) and Dr. Miraz Rahman (Reader in Medicinal Chemistry).